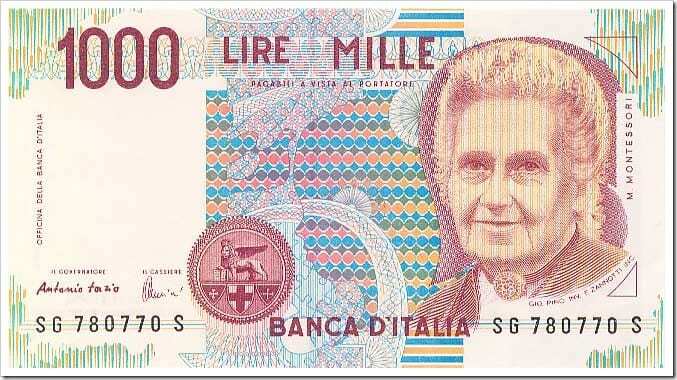 Maria Montessori was an Italian philosopher and educator, as well as Italy’s first woman physician. In her research, Dr. Montessori noted specific characteristics associated with a child’s interests and abilities at each level of development. Maria Montessori believed that a school carefully designed to meet the needs and interests of the child would be effective if it were consistent with the basic principles of psychology. Rather than fight the laws of nature, Montessori suggested that we “follow the child,” allowing her to show us how best to foster the development of her human potential. Dr. Montessori observed children’s remarkable, almost effortless ability to absorb knowledge from their surroundings and essentially teach themselves. This simple and profound truth inspired her pursuit of educational reform, curriculum development, methodology, psychology, teaching, and teacher training. The Montessori classroom is commonly referred to as a “prepared environment.” This term reflects the importance of creating a learning environment which reinforces the child’s natural interests, independence, and intellectual development. An important element in this prepared environment is the use of special Montessori materials. Based on her studies of children’s learning, Dr. Montessori noted that most children do not learn from memorizing what they hear from their teachers or read in a book, but from concrete experience and direct interaction with their environment. Montessori classroom materials are designed to facilitate concrete learning in every area of the curriculum. Montessori classrooms are designed to encompass a three-year age span, allowing younger students to learn from older role models and older students to test and reinforce their knowledge by helping their younger classmates. Working in one class for three years, children are able to develop a strong sense of community with classmates and teachers. The Montessori Method can be applied universally. Children benefit from this method regardless of their racial, cultural, or economic backgrounds. It reveals the small child as a lover of work, intellectual work, spontaneously chosen and carried out with profound joy. It is based on a child’s need to learn by doing. The teachers provide activities that correspond to each child’s stage of development. The child successfully masters the skills of each stage before he moves on to the next. It does not try and create discipline within a child by means of rewards and punishments. Rather, it encourages the child to develop his own sense of internal discipline through his work. This discipline originates from within the child and is therefore more effective than discipline imposed from without. It offers children the freedom to choose spontaneously their physical and mental tasks for the day. Nevertheless, they reach the same or even higher levels of scholastic achievement as children in more traditional systems. It enables the teacher to deal with each child individually in each subject, and thus guide him according to his individual requirements. It allows each child to work at her own pace. The children who work at a quicker pace are not held back; the children who work at slower pace are not pressured. The Montessori Method develops the whole personality of the child, not merely his intellectual faculties but also his powers of deliberation, initiative and independent choice, with their emotional complements. By living as a free member of a real social community, the child is trained in those fundamental social qualities which form the basis of good citizenship. * Adapted and quoted from: The Montessori Method: A Revolution in Education, E. M. Standing, The Academy Library Guild, 1962.